A THRIVING Paisley shopping centre has been bought over in a deal worth around £25million. 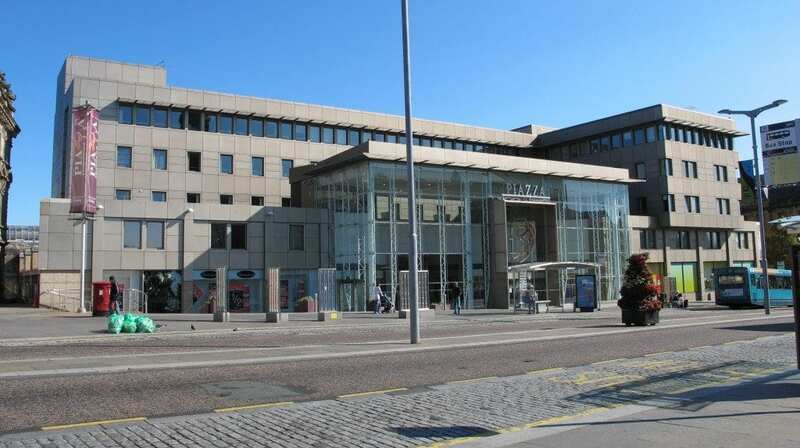 The Piazza Shopping Centre, in the heart of the Renfrewshire town, has been snapped up by London-based NewRiver Retail which plans to attract more big retail names to the town. The deal to buy the Piazza was part of a wider transaction between NewRiver and previous owners Zurich Assurance in which NewRiver bought four shopping centres for a combined price of £68m. NewRiver now owns 14 centres across the UK. Charles Spooner, senior asset manager at NewRiver, said: “Since our acquisition of the Piazza we have successfully renewed leases with two existing tenants and negotiated deals for two new leases in the mall. “Our vision for the Piazza is to build on the characteristics which have seen it continue to prosper in a difficult economy, and to attract and retain more tenants who will thrive in the retail environment created there. “We see the Piazza as the prime retail property in Paisley and are confident that we can help it develop its position at the heart of the town. The Piazza has seen something of a revival in recent years, having previously played second fiddle to the nearby Paisley Centre. NewRiver’s aquisition has also led to the creation of jobs at the mall, with staffing levels having already increased by 50% under the new owners. The Piazza tries to live up to its ‘At the Heart of Paisley’ tagline by maintaining links with local groups and charities. This year the centre is the main sponsor of Paisley Rugby Club. Councillor Brian Lawson, leader of Renfrewshire Council, said: “It is particularly encouraging to meet successful retail property experts who believe that Paisley is a valuable investment opportunity, and who have sufficient faith in their ability to improve the shopping environment that they have invested many millions of pounds in our town. “The Piazza has always been a key part of Paisley’s retail landscape, and building on its success will benefit all retailers in the town by attracting more shoppers through offering increased choice and value in a convenient town centre location. “Renfrewshire Council has worked hard in recent times to re-establish the value of the town as a retail location, with the key aim to encourage more people to spend more time in the town centre.